As noted by the joint Roman Catholic-WCC Conference on Xenophobia, Racism and Populist Nationalism in the Context of Global Migration (Rome, 18-20 September 2018), migration – the movement of people – is an inherent feature of the human condition. It belongs to the whole history of humanity – past, present and future – and the entire biblical narrative. Today, an estimated 258 million people globally are migrants, i.e. living in a country other than the one of their birth. People move for many different reasons – for work, study, marriage, or to seek a better life for themselves and their families – and make valuable contributions both to their host countries and to their countries of origin. But some are forced to flee from conflict, violence and oppression. Of the total estimated 68.5 million people who are presently forcibly displaced from their homes, approximately 25.4 million are refugees, i.e. have fled across an international border – but the majority of the forcibly displaced remain within the borders of their own country, and of those that do cross an international border approximately 85% remain within their own region. In several wealthier countries migration has become a subject of great political contention in recent years, even though the vast majority of migrants and especially refugees have been hosted in the countries and regions of the Global South. Political figures and parties in several countries of the Global North have garnered support by playing upon people’s fears about the impact of migrants and refugees on their societies, economies and cultural identities. During these very days, we are witnessing threats of deployment of military forces to prevent the entry into the United States of America of people fleeing from violence and poverty in Central America. The response of the international community, both to the recent large population movements and to the reactions by destination countries, has been expressed in the 2016 New York Declaration on Refugees and Migrants, and is being further articulated in two Global Compacts – one on Refugees, and one for Safe, Orderly and Regular Migration – to be presented to the UN General Assembly in December 2018. Many churches in receiving countries have made great efforts to offer welcome and support to refugees and migrants, and to counter the atmosphere of fear, exclusion, racism and xenophobia that is increasingly prevalent in many of the wealthier destination countries. The World Council of Churches has also undertaken great efforts to address this question at the international level, including most recently by convening, jointly with the Roman Catholic Church, the conference on Xenophobia, Racism and Populist Nationalism in the Context of Global Migration (Rome, 18-20 September 2018), closely followed by a Global Forum for Faith Action for Children on the Move (Rome, 16-19 October 2018) in which WCC partnered with World Vision International and several other leading faith-based organizations. This meeting of the WCC executive committee takes place in Uppsala, Sweden, a country which – like Germany – has become an important destination for refugees and migrants and which has offered refuge to many people on the move despite many other European countries refusing to share equitably in the responsibility for receiving and managing the influx of new arrivals. The Church of Sweden, one of those hosting this meeting, has taken an important leadership role in the Swedish context in offering support and hospitality to migrants and refugees, and in advocating for the human rights of people on the move. Lifts up and affirms the example given to their societies and their governments by the many churches that seek to be true servants of Christ by welcoming the stranger, the refugees and the migrants, especially in contexts in which refugees and migrants are increasingly stigmatized, discriminated against, criminalized, marginalized and completely excluded. Acknowledges that many people in countries receiving significant numbers of migrants and refugees are genuinely concerned and fearful of the impact on their societies, economies and religious and cultural identities, and that national governments have the legitimate responsibility to control their borders, to ensure security, and to promote stability and prosperity for their citizens. Nevertheless stresses as a matter of first principle that all refugees and migrants, regular or irregular, are human beings each created in the image of God, children of God, sisters and brothers, with equal human dignity and rights regardless of their immigration status. To raise national boundaries and the nation state to an order of value above the recognition of the image of God in every refugee and migrant is a kind of idolatry. 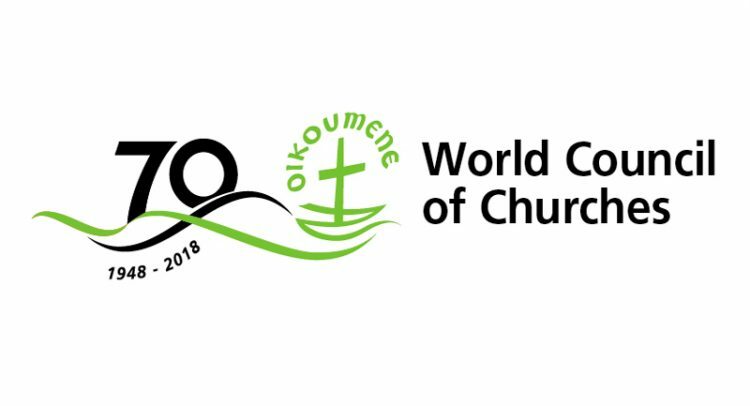 Endorses the outcomes of the joint Roman Catholic-WCC Conference on Xenophobia, Racism and Populist Nationalism in the Context of Global Migration, and commends them to every member church and ecumenical partner. Affirms the conference’s declaration that “to refuse to receive and help those in need is contrary to the example and calling of Jesus Christ.” God identifies with migrants and refugees through the life of Christ and calls us to care for people on the move in vulnerable situations, fleeing conflict, violence, persecution, famine and economic hardship. Strongly reaffirms support for the institution of asylum, the principle of non-refoulement, and the 1951 UN Refugee Convention as essential instruments for the protection of people obliged to flee from their homes due to conflict, violence and persecution, as well as reaffirming the right of refugees to return to their places of origin once the conditions enabling them to do so in security and dignity have been established. Calls for respect, protection and fulfilment of the human rights of all people on the move, regardless of their status. Recalling the WCC Churches’ Commitments to Children, expresses particular concern for the situation of children on the move, and in this regard welcomes the Plan for Faith Action for Children on the Move issued by the Global Forum held in Rome on 16-19 October 2018 in which WCC cooperated with several leading international faith-based organizations. Strongly reaffirms the Convention on the Rights of the Child, the most widely ratified international treaty, and the principle of acting in the best interests of the child. Abhors the practice of separating families and detaining children, simply because they are on the move, as invariably incompatible with the best interests of the child, and condemns all such practices. – For safe, regular and accessible pathways and opportunities for human mobility in compliance with international human rights law. – To combat xenophobic and racist discourses that seek to exclude, stigmatize and criminalize migrants and refugees. – For inclusion and integration of migrants and refugees in host countries, and against discrimination. – For equitable responsibility-sharing for refugees. – To end the drivers of forced displacement, and to make migration a matter of choice, not of necessity. – promoting greater social cohesion – not only inclusive of migrants and refugees, but also of other diverse minority communities and vulnerable groups – in order to create a climate of openness and spirit of solidarity more broadly in society. Appeals for increased ecumenical and international solidarity with children, women and men on the move, and prays that they may receive a welcome and compassionate care in the countries and communities to which their journeys take them.